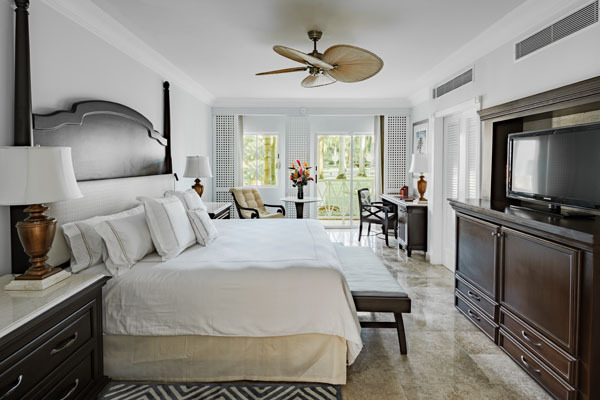 This adult-only inclusive resort affords guests the upmost in service and privacy while providing a sophisticated paradise vacation experience. Guests are given easy access to all of the Yucatan Peninsula, including white sand beaches and sparkling azure water, the surrounding Mayan ruins, such as Tulum and Chichen Itza, and the amazing underwater Sac-Actun underground rivers in the neighboring jungle terrain. 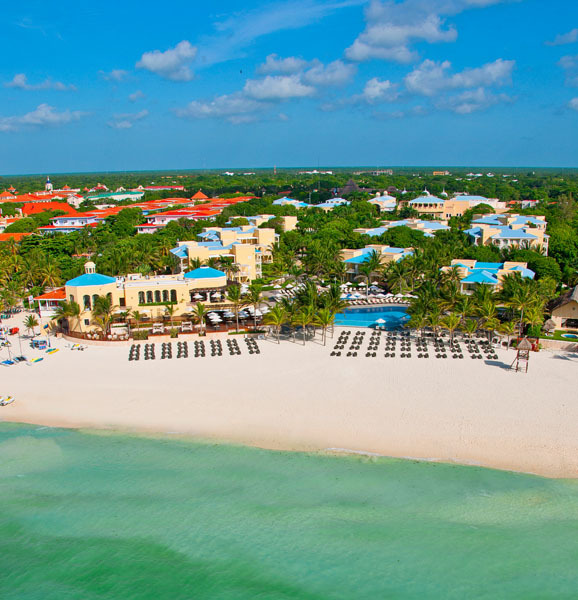 The resort’s spectacular beach is the ideal place to relax and unwind with a tequila sunrise or perhaps a margarita and enjoy the view from the terrace of Spices Restaurant. Soaking up the sun, dipping your toes in crystal clear waters and listening to the waves crash on shore while being surrounded by towering coconut palms is the ultimate tropical paradise experience guests can expect at Royal Hideaway Playacar. For an adventure of a lifetime book the Jungle Maya Tour. Located in the heart of the Riviera Maya jungle above the Sac-Actun system – the world’s longest underground river, explored and recommended by National Geographic specialized cave divers. Rappel into a beautiful cenote and siwm in Yaxmuul, a unique natural pool. Snorkel in the Nohoch Nah Chiich cavern surrounded by awesome rock formations and millenary stalactites and stalagmites. Ride through the exuberant rainforest on our all-terrain Mercedes Benz Unimogs. Enjoy nature and fly over the jungle’s foliage on 5 exciting zip-lines. Experience a traditional Maya purification ceremony with a shaman as you become immersed in the ancient Mayan culture. The hotel boasts 6 swimming pools, all large with unbeatable views and includes 3 relaxation pools and an infinity pool with an extravagant waterfall. The fantastic sport facilities within the establishment are a great way to take advantage of watersports like sailing on a catamaran, windsurfing, snorkeling, kayaking and fishing. If relaxing is your main objective, then The Retreat spa is your next destination. The spa offers a variety of massages and several beauty treatments for all guests to indulge in. This luxurious space prides itself on beauty and wellness with aromatherapy, facials and body wraps to ensure you’re feeling your best self when you leave. 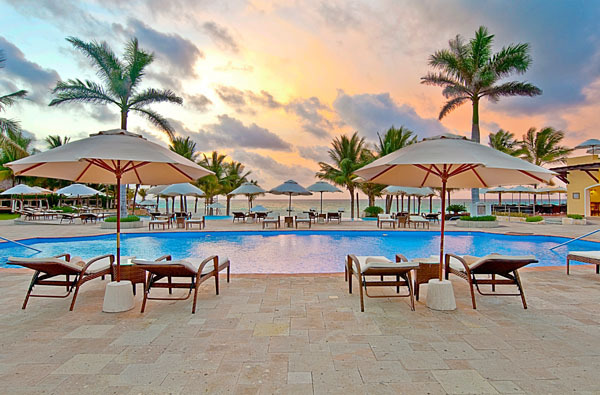 No resort is complete without a luxury culinary scene, and Royal Hideaway Playacar boasts 6 amazing restaurants and 3 incredible bars on the property. 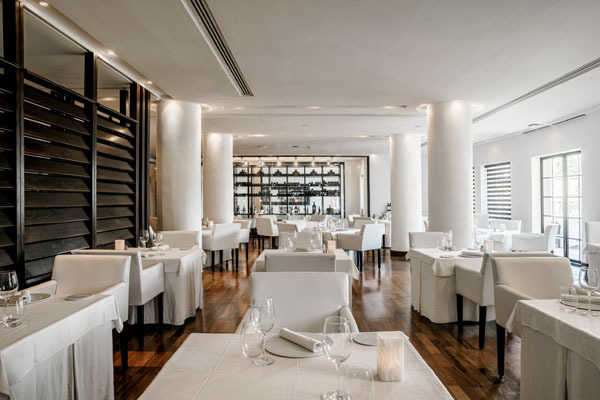 Guests can savor both traditional Mexican as well as imaginative chef creations that will delight the most discerning palates, transporting you to different corners of the globe without leaving your seat. Dine at The Chef’s table in the kitchen at Las Ventanas to taste a variety of unique and creative dishes that will tantalize your taste buds. 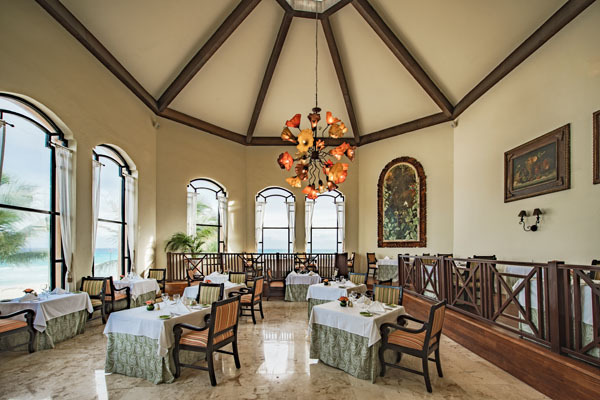 Spices offers spectacular views of the Caribbean Sea while specializing in Mexican and Caribbean food, serving fresh fish, seafood and local cuisine fin an intimate setting overlooking the ocean. The Palazzo offers contemporary Italian dishes and innovative European cuisine in a charming and elegant atmosphere. Azia is a trendy signature restaurant with the prestigious AAA 4 diamond award for gourmet specialties in Asian fusion cuisine with a focus on Japanese and Thai cooking as well as the traditional Izakaya live grilling experience. For casual alfresco dining throughout the day, The Grill offers beautiful views of the beach with a balmy sea breeze. Club Royale Theater is also the perfect setting for you and your loved one to enjoy live entertainment while savoring a delicious meal. The bars are all about casual elegance and craft cocktails with Bar Allegria offering a relaxed environment and Bar Deck is also an ideal place to relax and enjoy a drink by the beach. 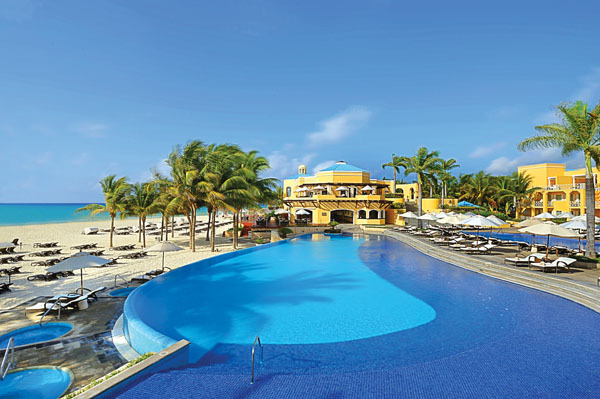 Royal Hideaway Playacar is a place where nothing succeeds like excess, and there is no such thing as too much of a good thing. It simply is what it is and with unmatched luxury on the menu, this resort is the perfect paradise getaway you have been looking for.